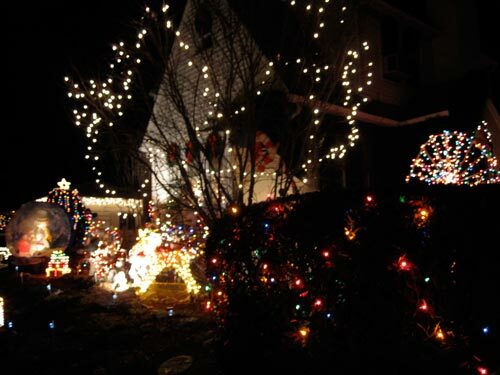 December 7, 2009 / This time of year, most neighbourhoods have a winner. This is ours. 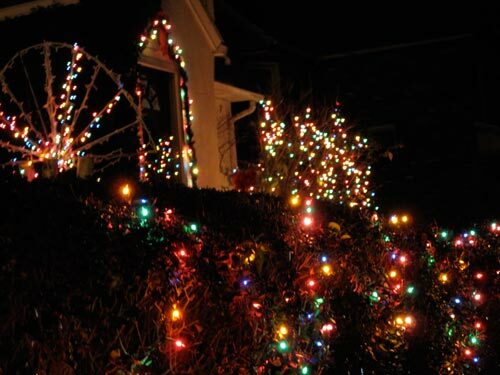 Every year the owners dress their house and yard in this garb. The place is well situated for passersby, most of whom are speeding drivers. But not me and Genie. We pass it on our walks.